If you are interested in purchasing any of the following recordings, they are £5 each, including p&p. Please contact us with a message stating which CD you would like to purchase. 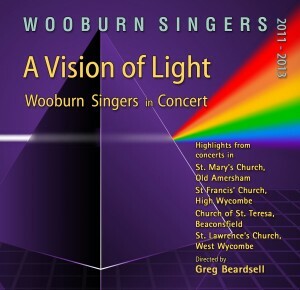 In June 2013 as part of our farewell to our Music Director Greg Beardsell the choir gave the première of a new work by Gabriel Jackson, Three prayers, with a vision of light. 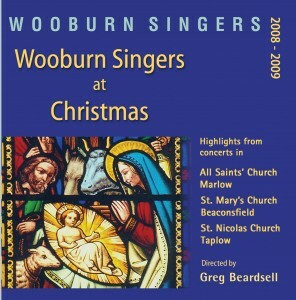 The work was commissioned by the choir to mark Greg’s 8 years with us, and this new CD includes the first performance. Also included is a selection of a cappella pieces recorded at our concerts under Greg’s direction in the last two years. 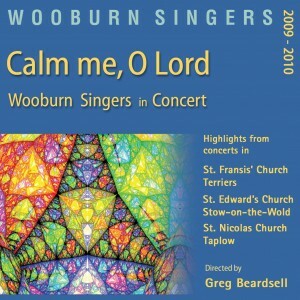 An eclectic selection of recordings from our concerts in 2009 and 2010, covering more than 4 centuries of a cappella choral music – from Palestrina to the contemporary composer Alexander Campkin, whose piece Calm Me, O Lord gives the CD its title. 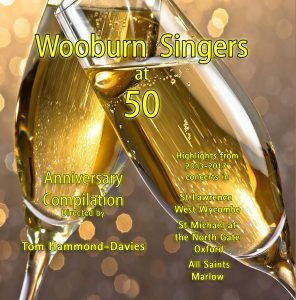 Recorded at our Christmas concerts in 2008 and 2009, Wooburn Singers at Christmas features traditional Christmas favourites along with less well-known gems, including three different settings of O Magnum Mysterium.